Denise Cole opened Cole Gallery & Artists’ Supplies in December of 2006 with a vision for bringing a national class gallery to Edmonds, Washington. 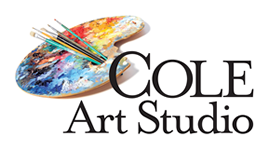 Cole Gallery & Artists’ Supplies is located at 107 5th Ave South, in the heart of downtown Edmonds, just blocks from the ferry landing in the center of town. As the largest gallery in the surrounding area they feature nationally acclaimed Northwest painters and sculptors. Many of their paintings come from the influences of the Impressionists with a wide range of subject and style. As an integral part of the Northwest art scene, Denise has been an acclaimed watercolorist and oil painter, juror and instructor for over 15 years. Utilizing her relationships developed with fellow painters, sculptors and glass artists from across the Northwest United States, Denise has succeeded in bringing some of the country’s finest artists to the gallery. Cole Gallery specializes in original works of art in all sizes. The gallery includes a 1,100 square foot teaching space where Cole Gallery artists offer workshops and classes. I have a bev jozwiak watercolor “the harvest” how should I value it for insurance purposes?